A cup of Damiana tea can certainly put you in the mood, but Damiana is also useful as a mild anti-depressant and stress beater. Popular with executives and those with hectic lifestyles, the fragrant leaves of this small shrub are known across South America, the Caribbean and Mexico. 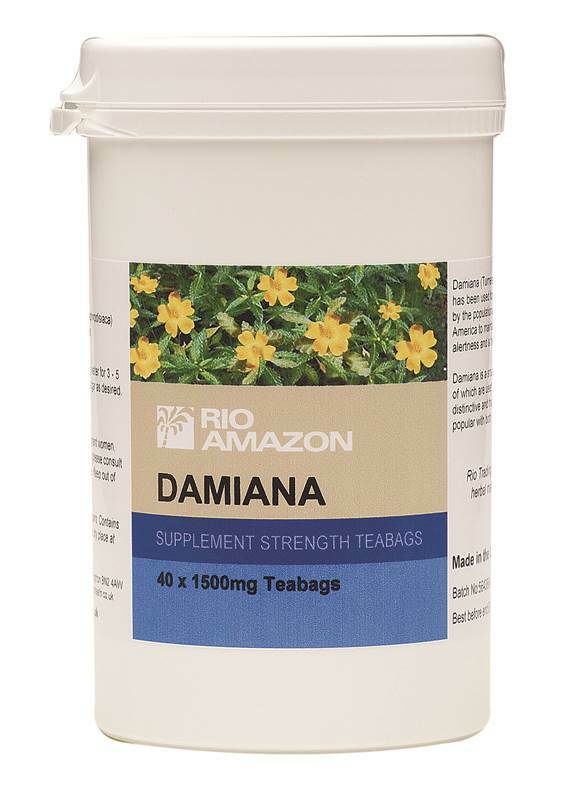 Damiana makes an intriguing tea which has a high reputation as a calmer of the mood, and an anti-depressant. The volatile oils trigger a more positive frame of mind, and the tea is also used as a loving cup. The content of sitosterol stimulates the response in both men and women. This information is not intended to replace the advice of your personal qualified Healthcare Professional.